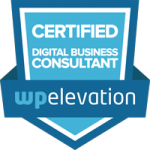 What is WP Elevation Digital Business Consultant Certification? WP Elevation is a global business training and mastermind group for professional WordPress™ consultants that enables its members to better serve their clients through advanced training, communication, development workflow, and project management best practices. Certified WP Elevation consultants have access to ongoing education and a community of peers for support and continued professional development. The above badge displayed on my website is your assurance that you are in good hands by having me work on or manage your WordPress™ website! 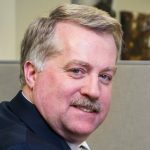 Website maintenance, management, and care plans. Want to explore building a new website with WordPress™?